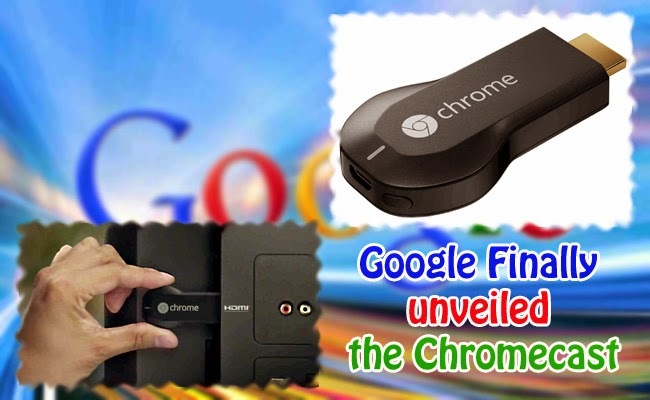 Google had recently unveiled Chromecast, a small stick fits on your TV through HDMI that gives you the ability to send contents from your devices such as your phone, computer and tablet to the TV’s screen. It simply means whatever your device can play, you can sling it to your television screens as long as it plays on your desktop browser tab. It can actually run HBO Go, Hulu and Rdio, project you web based presentations, Flickr photos and anything running in the browser. Apple had released almost the same service called AirPlay but it requires a device which cost $100. Chromecast is an independent device and much cheaper, but you must also have a strong internet connection to totally enjoy this technology. While Google had not won the living room in homes yet with their Google TV and Nexus Q, it might be worth a chance as it is cheaper compared to the competition.